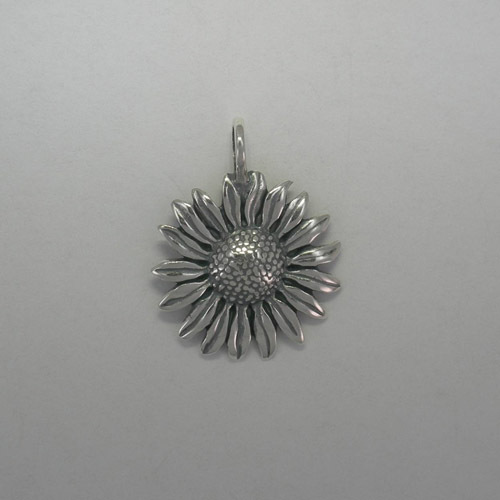 Desc: Sterling Silver Sunflower pendant. The Sunflower is in full bloom. The pendant has texturing to resemble a sunflower blossom. The pendant has texturing and bright polish finish.